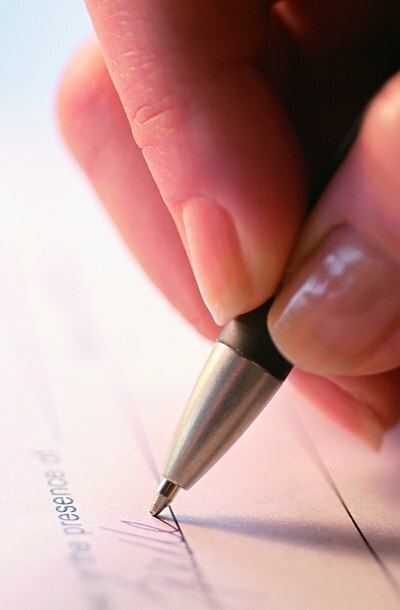 How Should a Trustee Sign? Serving as a trustee is a purely legal role where you own legal title or have limited legal authority, subject at all times to the terms of the underlying trust agreement. When you sign documents in your capacity as a trustee, it is a good idea to always include the designation "as trustee" after your signature. Using the "as trustee" designation helps you and others keep your trustee role legally distinct from your personal affairs. A trustee is a person whose name appears on the legal title to property held in the trust. For instance, if the trust includes real estate property, the deed to that property will identify the trustee as the grantee, or current owner, of the property. However, a trustee only has legal title because the trustee's title is always subject to the provisions in the underlying trust agreement. The beneficiaries identified in that trust agreement own equitable title to the trust property. Equitable title includes the right to all benefits from the property. When a trustee signs a document without including the designation "as trustee," the trustee provides no notice of the trustee's limited legal capacity in that transaction. On the other hand, including the designation "as trustee" puts the entire world on notice that the signer of the document is acting in a limited legal capacity and not personally involved in the transaction. If a trustee signs a document with the intent to act in her capacity as trustee, but without including any designation of "as trustee" next to her signature, the trustee may unintentionally become personally involved in the transaction. For example, if the trustee intends to enter into a mortgage loan agreement on behalf of the trust, but she fails to designate her signature as a trustee's signature, then she may be held personally liable for the balance due on the mortgage loan. Some states' laws require a trustee to include information identifying the trust, in addition to including the simple designation "as trustee." For example, state law may require the trustee to include after his signature a phrase similar to "as trustee of the XYZ Family Living Trust Dated March 1, 2012." You and your spouse may have decided to form a living trust, via a trust agreement, to hold your real property or other assets. If you are the mortgagee, or holder of an existing mortgage made by someone else to you, you may desire to transfer that mortgage into your trust as an asset. It may be much more difficult, however, to obtain consent from a lender to transfer a liability, such as a mortgage from a bank or other lending institution, into the trust because it ceases to be an individual liability and becomes a liability of the trust.